There is something universally interesting and intriguing about this concept of restoring, refurbishing and remodeling. And there are few life forms more beautiful and more reuse worthy than trees. It is a concept that Jeffrey Tinsman has not only fostered, but also embraced. For you see, Tinsman is a man with a plan. Tinsman is the driving force behind a local beautification idea that turns old trees earmarked for termination into artistic carvings. 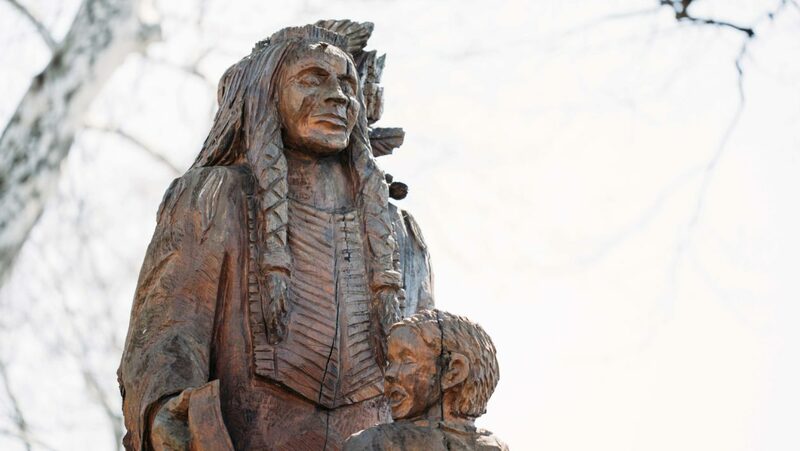 In fact, if the Harrisburg native would have his way, stumps would no longer exist in the city—only wooden sculptures depicting objects meaningful to the region. “We’re trying to make a positive out of a negative,” said Tinsman, a board member on the Harrisburg River Boat Society. “It’s going to be a fun project. It’s going to be a lot of effort, but it’s going to be gratifying. We’re bringing a dead tree back to life. 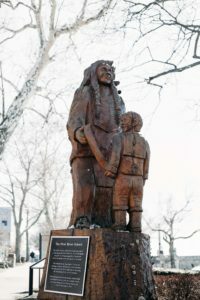 It’s been nearly ten years since Tinsman first commissioned York chainsaw carver Brad Heilman to turn a capped tree on the east side of the Market Street walking bridge, right along Front Street, into a Susquehannock Native-American presenting a canoe to a boy. Now, Tinsman has designs on two more similar projects, one a few yards north of the Susquehannock Native-American statue, along Front Street, and another on City Island, a baseball throw away from FNB Field. 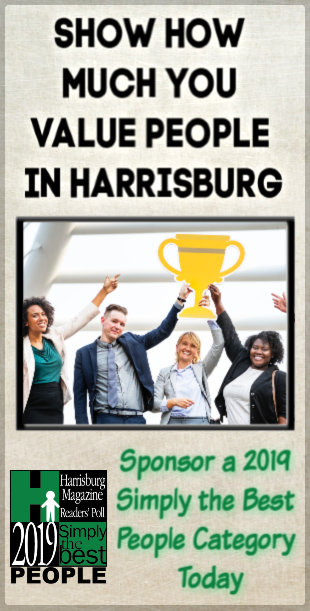 All in the name of raising funds for the Harrisburg River Boat Society’s newest vessel ‘Ogontz’ and the Susquehanna River School. With the blessing of Harrisburg Mayor Eric Papenfuse, and the help of Heilman’s creative chain saw, Tinsman plans to turn a second capped tree along Front Street into a carving depicting bass which are native to the Susquehanna River. The goal is to have the project completed in time for the annual Artsfest of Greater Harrisburg, May 25-26. The second project calls for a 40-foot bat, a 20-foot glove and a 15-foot baseball to be collectively carved from a tree outside of the City Island home of the Harrisburg Senators. It is planned in conjunction with the Labor Day celebration of the Kipona Festival, September 1-3. Tinsman hopes to attract sponsorships for both proposed carvings. “This is a busy area. There’s a lot of traffic,” said Tinsman, of the place where Front Street and the Market Street walking bridge intersects. “I hope people see the value. The baseball carving was a no-brainer. The stadium is there. It’s just going to complement the area for baseball fans. You’ll be able to see it from the baseball stadium. The “Ogont”’ can be characterized as a little sister vessel to the famous ‘Pride of the Susquehanna’ riverboat. Within its planned use, the “Ogontz” will directly serve and support The Susquehanna River School, a floating educational class room which focuses on the history, natural wonders and eco-system associated with the largest navigate-able river in the world. “We’re just sending a message to people to be good stewards of the river,” said Tinsman. “We’re just trying to connect the dots. Money is tight everywhere. I don’t know how difficult this is going to be. But at the end of day, these carvings are going to be focal points. It’s going to nice advertising for the sponsors. And haven’t rivers and trees always enjoyed a symbiotic relationship?